Shure UHFR – Wireless Rack Dual Receiver – UR4D+. The UR4D+ receiver is a dual-channel receiver in the flagship UHF-R system for premium wireless. As “+”-versions these receivers include RF distribution ports that allow up to 10 receivers to share the RF signal from a single pair of antennas. Cascading: Includes RF distribution ports that allow up to 10 receivers to share the RF signal from a single pair of antennas. You can use up to 47 compatible systems together without audio degradation or interference. Within a given frequency band, you can choose from 3000 selectable frequencies across a 75MHz bandwidth. Can I easily set up and remotely monitor the UR4D+? 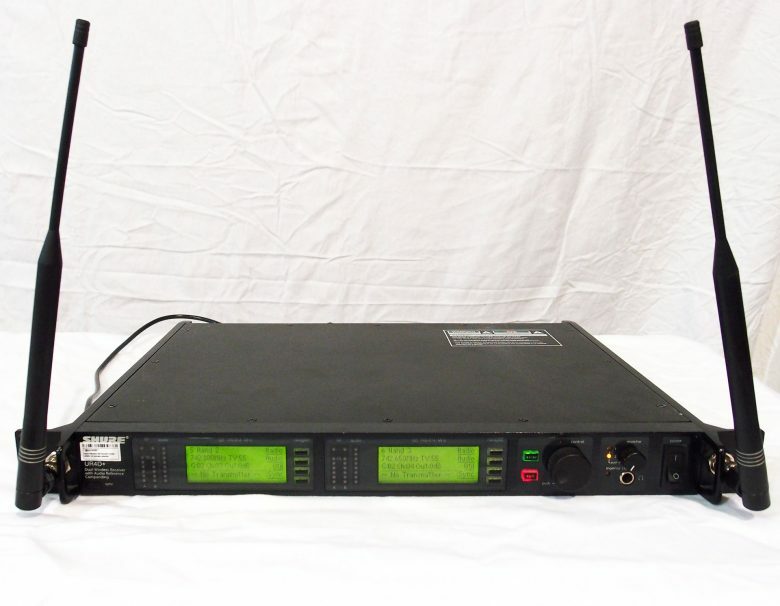 Using the Shure Wireless Workbench® System Control Software, which is included with the receiver, you can remotely monitor and control individual and networked receivers. In addition to the former UR4D and UR4S, the UR4D+ and the UR4S+ include RF distribution ports that allow up to 10 receivers to share the RF signal from a single pair of antennas.